Producing the Regenbogenland newspaper is a project carried out by the Druckstudio Group’s trainees. 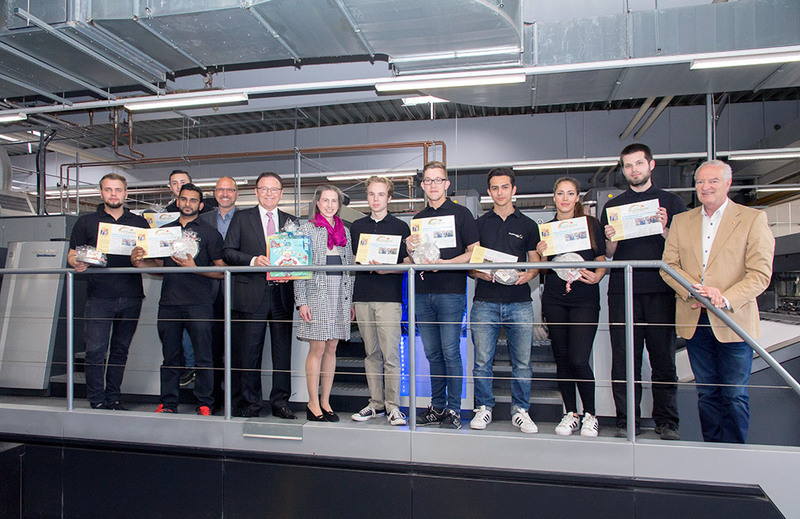 From job acceptance, layout and image processing right through to printing and finishing, the Regenbogenland newspaper is the responsibility of up-and-coming media designers, printers, bookbinders and office communications operatives. What’s more, the two most recent issues were produced using a state-of-the-art editorial system that made it possible for those involved to change texts and confirm approvals directly and online. The Regenbogenland newspaper is now also available in digital form, as a virtual flipbook on the website. The team proved to be highly competent, reliable and efficient, and worked together well to create an impressive final product.